Seasons are changing over here (quickly might I add!) and I’ve been starting to bring all of my fall pieces out from storage! Whenever I’m sorting through my colder weather pieces I feel like I have a list of mile long essentials that are always missing. HauteLook is a site I visit daily (it’s in my favorites bar!) 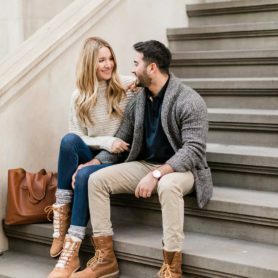 to help me stock my wardrobe with fall must-have pieces I’m missing or wanting to add! 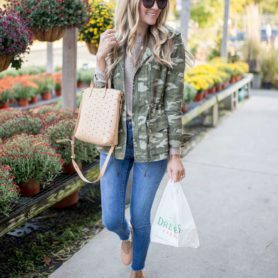 I’ve been a longtime shopper and lover of the site, and have been swooning over their new arrivals lately. HauteLook carries a huge selection of designer and luxury brands all for a seriously discounted price. The sales generally last 3 days, with new sales/events starting each morning at 8 am PST. It’s a rush of excitement when you visit the site and see the amazing deals and pieces they have. I mean Dolce Vita (booties for 62% off!? say what?! ), Via Spiaga, BLANK NYC, Clairsonic and Stila are just some of the brands on sale today. HauteLook also carries products for children, men and home! Another great thing – shipping is free on orders over $100 and you can return any item to your nearest Nordstrom Rack (which makes things so easy!). Shop all the sales of the day here! 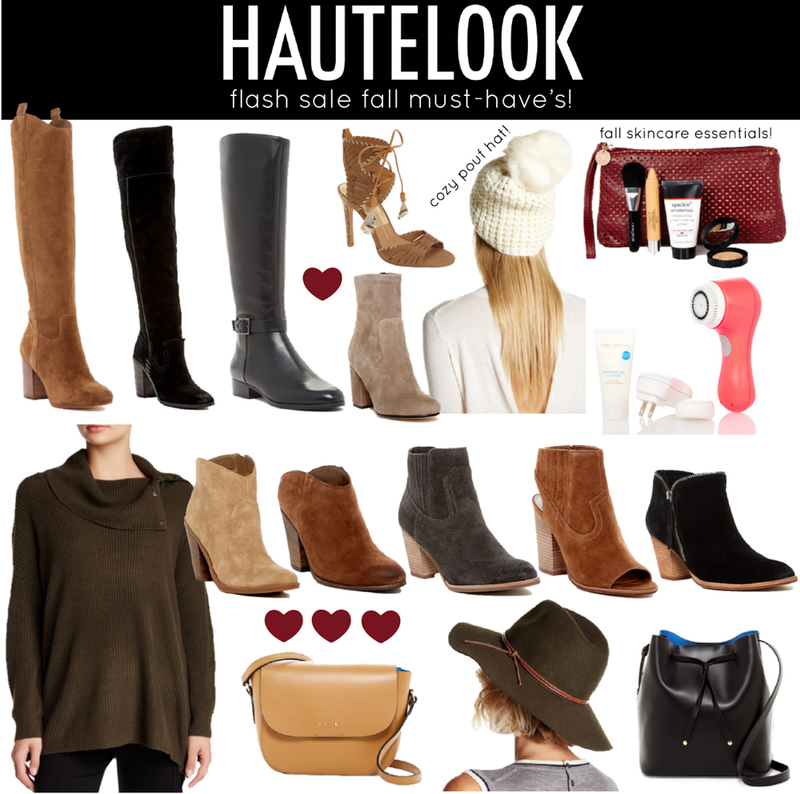 Thank you to HauteLook for partnering on this post! All opinions are my own. 1. What program do you use to create these gorgeous collages? 2. HauteLook is my krypotonite. I’m on it EVERY morning. It’s in my favorites too! Low key stalking those Via Spiaga boots to come back in my size…. Thank you so much! I used Adobe Illustrator to create these. You can also use Photoshop, but I find this much easier (the layers stress me out – haha!). Ugh isn’t HauteLook so good like that? Ordered a pair of the Dolce Vita booties because I just need another pair, haha! Wow. Hautelook is a great site. I like. Must have for me is the Hunter Woven Feather high heel sandal. Perfect to celebrate my 1 year anniversary next month with my boyfriend. Now its time to find the right dress to go with this sandal. I like the open toe bootie and the hat too. pLEASE do more post like this!! !